Winter driving can cause a huge build up of grime, debris and salt on your vehicle which, if left long enough, will cause rust and damage to your paint work. 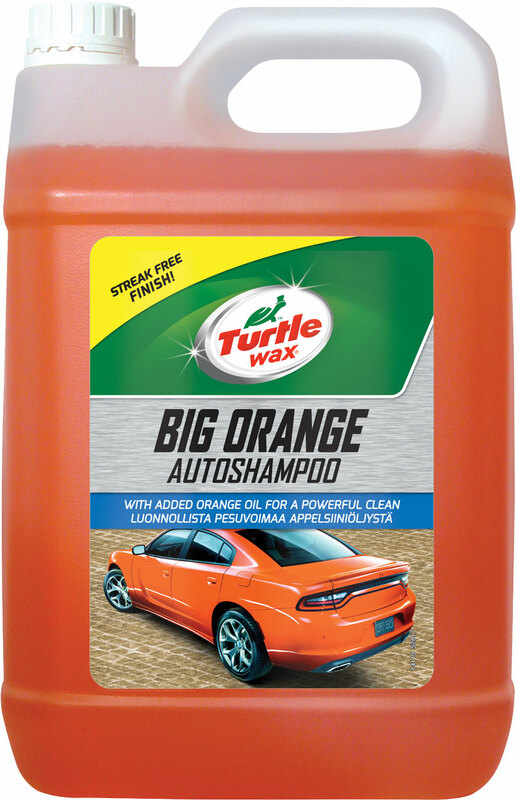 Now the weather is warming up a bit, why not give your car a good clean with Turtle Wax Big Orange Car Shampoo? It’s economic, quick-action wash rapidly lifts ingrained traffic film leaving a brilliant shine using the natural cleaning power of Orange Oil. Along with the snow, sleet and sludge that Winter brings, also comes muddy shoes and damp clothes that can stain your vehicles carpet and upholstery. Using Auto Groom Foaming Upholstery Cleaner, you can get rid of all that cold-weather build up. It’s unique blend of solvents and detergents displays unrivaled cleaning on upholstery, carpets, door panels, plastic and vinyl trim. The foam breaks down and penetrates contamination for easy removal and leaves a clean, apple fresh fragrance in all vehicle interiors. 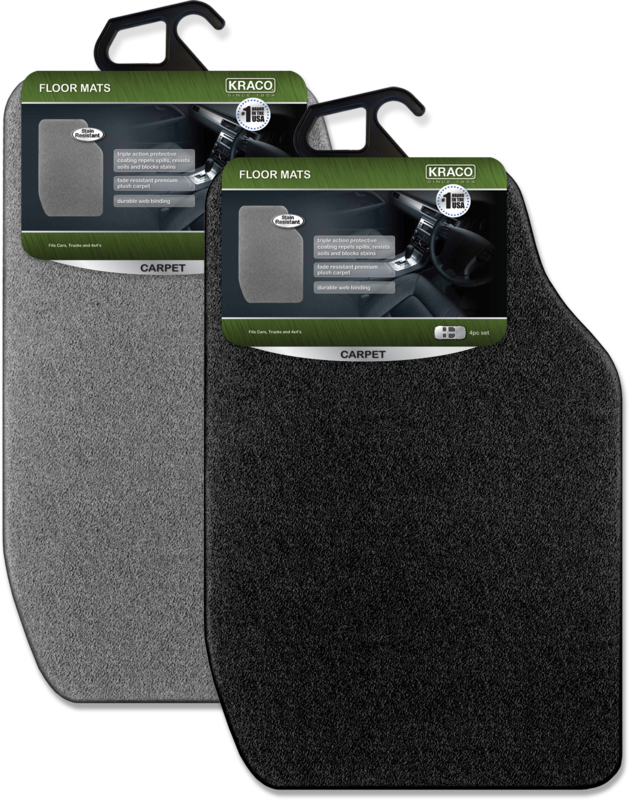 Get rid of your old, tatty floor mats and invest in some Kraco Luxury Carpet Floor Mats. They have a triple action protective coating which repels spills, resists oils and blocks stains. Made from a quality, deep pile carpet that gives a soft and comfortable feel, they’re also fade resistant and finished with a durable web binding to prevent slipping. 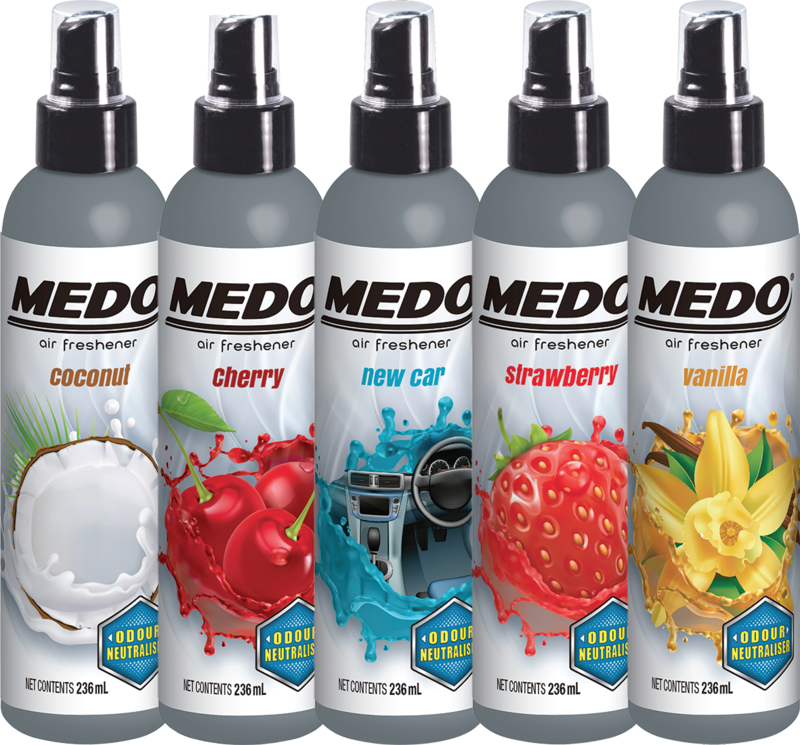 Medo Pump Spray Air Fresheners will make your car smell brand new with their long-lasting scent, odour neutralising technology and 5 great fragrances (Coconut, Cherry, New Car, Strawberry and Vanilla) It also comes in an environmentally friendly, pump spray bottle so you can ensure you’re doing your bit to stay green. Of course, being in the UK doesn’t necessarily mean guaranteed sunshine so why not invest in some Rain-X Rain Repellent? It’s liquid, silicone-based formulation has been designed especially for exterior protection of automotive glass, including windshields, side and rear windows, side-view mirrors and glass type fog and head lights. It dramatically improves wet weather visibility by repelling rain, sleet and snow on contact, and by reducing the adhesion of frost, ice, salt, mud and insects.